Something a little bit different for you today – I don’t think there’s ever been a drink recipe posted on What Charlotte Baked before, although please do correct me if I’m wrong! Let’s start our foray into drinks with a high, and you can’t get much higher than Mint Limeade, right? Made with fresh limes and mint picked straight from the herb garden… or bottled lime juice and packaged mint. Either way is fine with me. Whatever you use, you’ll still end up with a gorgeous summer drink that can be either sparkling or still. And no, cute paper straws are not optional! 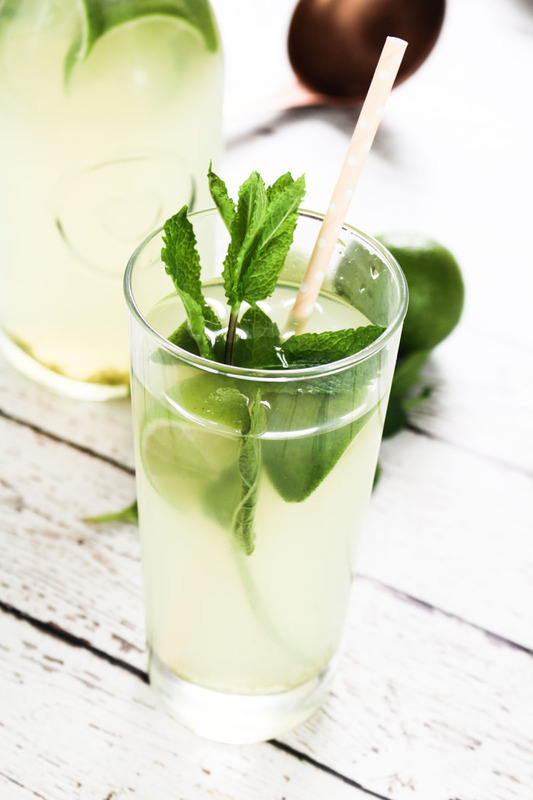 The recipe below is going to make 2 litres of mint limeade, which is the perfect amount for your next BBQ or pool party. It’s also really easily scaled up – just double, triple, or even half the ingredients and it will taste just as great. I have to confess that I used bottled lime juice rather than bothering to juice a whole heap of limes. You’ll need 8-10 limes to get the one cup of juice you’ll need for a pitcher of this, so unless you are super keen on avoiding the preservatives in the bottled stuff, then save yourself the hassle. You can still add some lime slices to each glass and no one will be any the wiser. So we’ve got the lime juice covered, what about the mint? You’re going to need to make a mint syrup, by bringing some sugar, water, and mint leaves to a simmer in a saucepan, removing from the heat, and then leaving to infuse for half an hour or so. This mint syrup is super versatile, and can be added to a whole host of cocktails and mocktails, so it’s a great skill to have under your belt. Talking of mocktails, this is a great alternative to a mojito for non-drinkers. Serve it in a long glass with plenty of ice, fresh mint, lime wedges, and a cute straw and you’ve got a drink fit for a wedding. 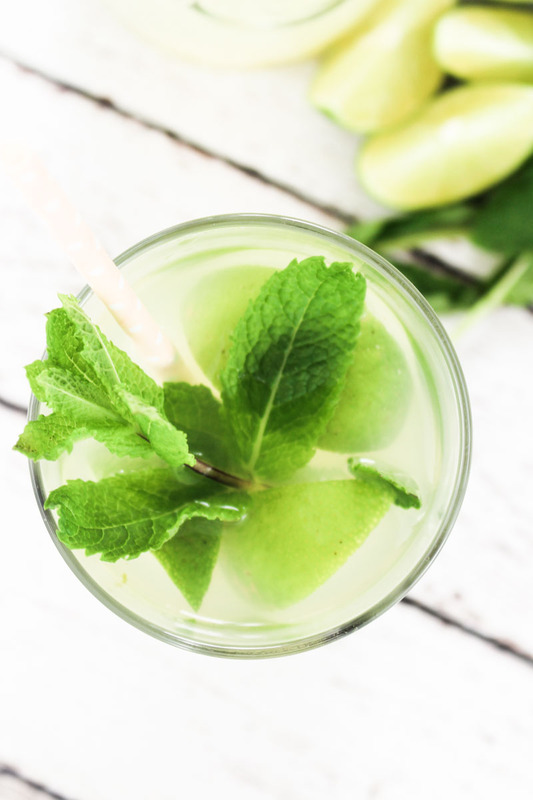 And if you want to booze it up a little, then you can definitely spike this mint limeade with some rum and have yourself a party. 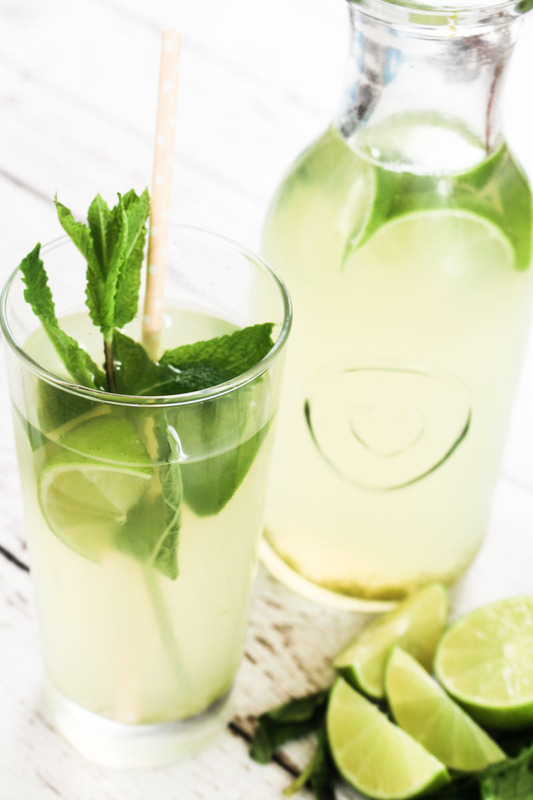 Refreshing mint limeade, made from either fresh limes or bottled lime juice. Top up with either still or sparkling water - whichever you prefer. Place the sugar into a small saucepan along with 120ml (½ cup) of still water, and stir. Add the torn mint leaves and place the saucepan on a low heat and stir occasionally until the sugar has dissolved. Remove from the heat, place a lid on the saucepan, and leave the mint syrup to infuse for at least half an hour. If using fresh limes, squeeze 240ml (1 cup) of their juice into a 2 litre jug or pitcher, and add the lime zest. Strain the mint syrup into the jug through a sieve, and then dispose of the mint leaves. Top the jug up to two litres with either sparking or still water, and then serve over ice with lime wedges and mint sprigs to garnish. The mint limeade will stay fresh if stored in the fridge for 5-6 days. Cover the pitcher or jug with clingfilm or plastic wrap if you are going to store it for this long.